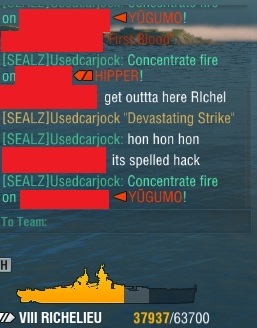 When you start to "hon hon hon" in chat, then proceed to get called a hacker by a Fiji and Mogami. This ship is just pure fun. Can't wait for Alsace! Alsace is even BETTER! I loved it. Go secondary build on her. She's a real brawler and can push people away from you. I find it hard not to play the Alsace. I absolutely love this ship. just wait til you get yours. I like the Republique, but the Alsace is way better in my hands. 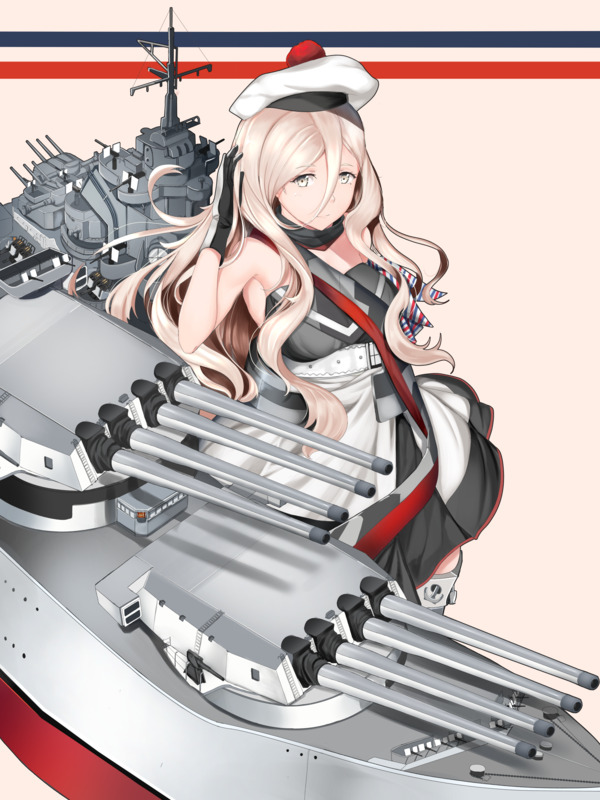 I don't play BBs much anymore, but I do really want to play the Richelieu and Alsace. However, I don't really want to have to play through the Normandie and Lyon to get to Richelieu(I have Normandie in port from the missions before the line released). Seems to be the case that Alsace is better than Republique. I enjoyed Normandie and Lyon. There were times where the over penetrations were starting to get out of hand, however Lyon's 16 gun salvos and Normandie's ridiculous speed at tier 6 made it very enjoyable. I'd recommend it, especially since you already have Normandie. Dunkerque, Normandie, and Lyon are all great ships to play. Their 340mm guns feel great and each ship is quite maneuverable. I didn't plan on playing Normandie or Lyon because I Free XPed from Normandie to Richelieu. I went back for some reason and ended up enjoying them. It's really less of whether or not the T6 an d T7 are good ships, bur more of me only taking out a battleship when I'm struck with the mood to do so, and me not really wanting to have to grind through T6 and T7 to get to the ships I'd like to play. I agree. I have the Republique, and the one thing I like better about it than the Alsace is that it get's more citadels, has a faster reload, and has better AA. Once you play them, you will understand them like all ships. Or $$$ Free XP and skip like I did. I do have over 200k free exp sitting around, so that's certainly an option since I only ever use free exp to get out of stock ships before ever playing them. I love Richelieu but the Lyon was surprisingly fun. AA specced it for fun and the 90 something AA rating really makes CVs salty, even Saipan. funnily enough all tier VII battleships have good AA even the Nagato. AA spec Gneisenau is downright criminal, i love it. Make sure to pick IFHE for the 100mm on Alsace. Absolutely savage in raw damage and you will still start plenty of fires. I've had games where secondaries and fires, since I only shot AP that game, got 60,000 in damage while my mains did 100,000. Richie isn't quite worth sticking IFHE on IMHO. Azur Lane doesn't have France yet, except for Saint Louis from the WG collab. Don't you know? 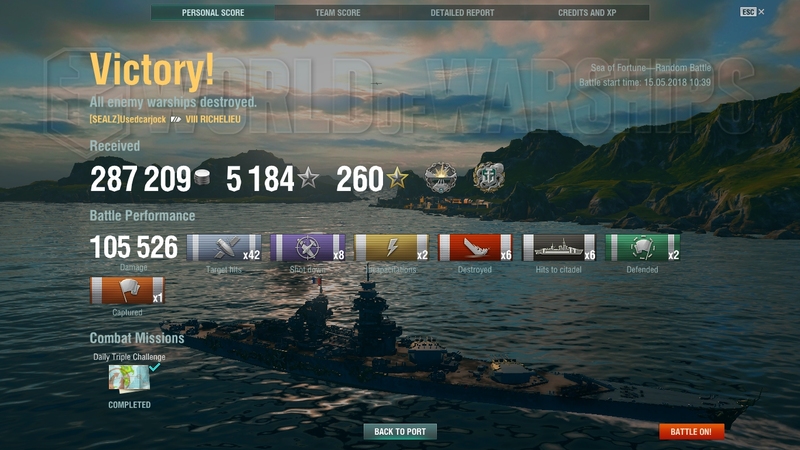 Richelieu is the best torpedo in the game!! Play the Normandie, it is a MONSTER. in 17 games in the Normandie 4 have been Krackens, I have an 82% win rate 9.3 kill/death ratio and 1733 WTR in her. She is light years better than the Lyon.....but even it is not bad with a decent captain. Those are the Clevelands that stops right in front of my Dunkerque and the Des Moises that stops in front of my Richelieu.